I've had a fun week installing this on OEL. Six times I've started and stopped because it would just sit there and hang. I had it installed a few weeks ago, but if memory serves me, I let it run overnight and everything was up and running. 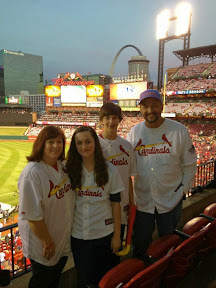 I blew that one away so I could get some more practice (and I wanted to write it up). I'll post on the problems later (thanks Tom!) but for now, these are the steps I took to install OBIEE 10.1.3.4 on Oracle Enterprise Linux 5, Update 4. For the uninitiated (i.e. Linux n00bs), it is no where near as "difficult" as installing the database. No creating "extra" users or groups...pretty much just rock 'n roll. 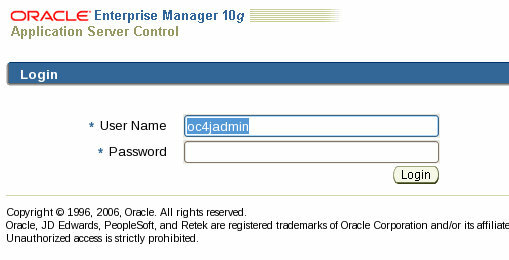 I've already created a new VM with a user "oracle." Halfway through (this whole process) I thought about using "oraclebi" or something different as I will be installing 11gR2 on this machine, but I got lazy. Once the VM was created the very first thing I did was install Java 6 (1.6_0.17 or something) SDK with Java EE. I won't go through that installation, but you do need to remember, if you are new to Linux, that you must change the permissions on the .bin file to make it executable. How did I know to do this? It's in the docs, page 46 or so. Yes, I opened it up to the world...this is just a sandbox. I can do what I want. Obviously not recommended for production purposes. First up, run the UnixChk.sh to make sure we've got everything. I'm running this in console mode because I can't seem to run the GUI. Both xterm and xclock work, as suggested by the installation guide, but it still fails. I'll worry about the another day. 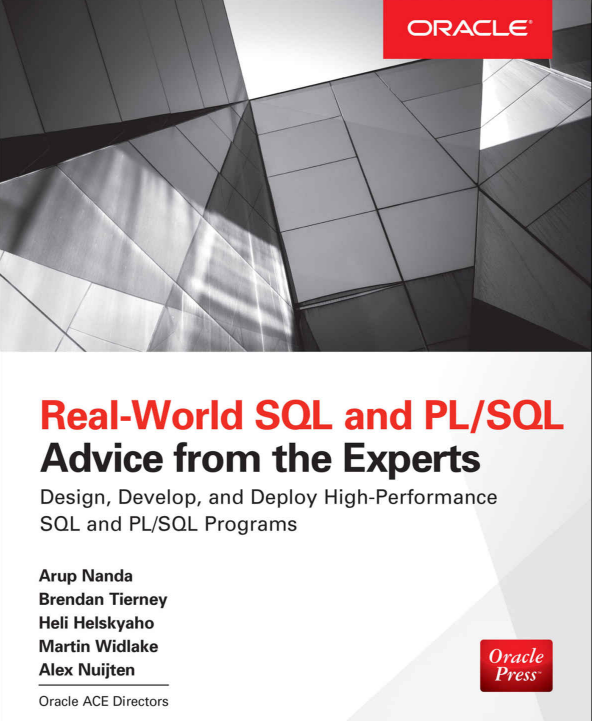 required for installing Oracle BI EE. That "Preparing Java(tm) Virtual Machine" part is where it was hanging up before...it takes about 60 seconds to initialize. Enter 1 and hit Enter. Welcome. 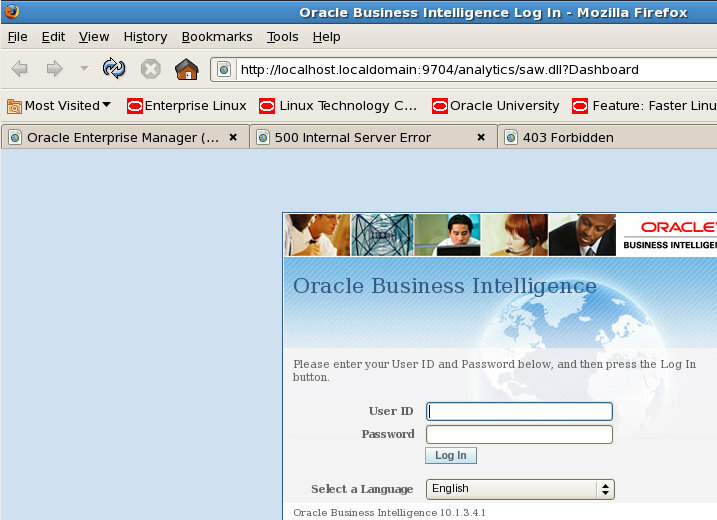 Oracle Business Intelligence will be installed. [X] 1 - Basic: Minimum security. 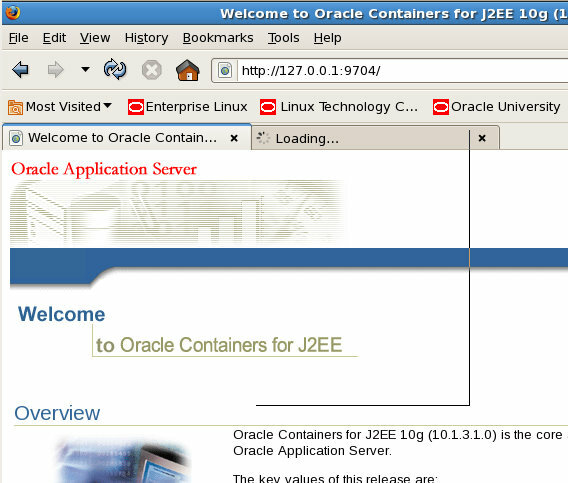 Installs Oracle Containers for J2EE (OC4J). All Oracle Business Intelligence components will be installed. Oracle Business Intelligence Publisher will be installed. The program will be installed with the features you choose. Hit Enter for Complete, otherwise enter the number for your choice. Enter 1, Enter (Next). Java Development Kit 1.5.0 or greater is required. Then enter your password, confirm it and hit "Next." cannot be reset and will be used for uninstallation. Intelligence 10.1.3.4.1. Choose Next to continue the wizard. I skipped a Next there, I didn't think you would mind. Your software is installed, now what? Now you run and test it! Oracle BI Server startup initiated. Please wait for a while for the Oracle BI Server to completely start. Execute the following command to check the Oracle BI Server logfile and see if it started. Finished loading subject area: Sample Sales. Query Cache loaded with 0 entries from saved cache files. 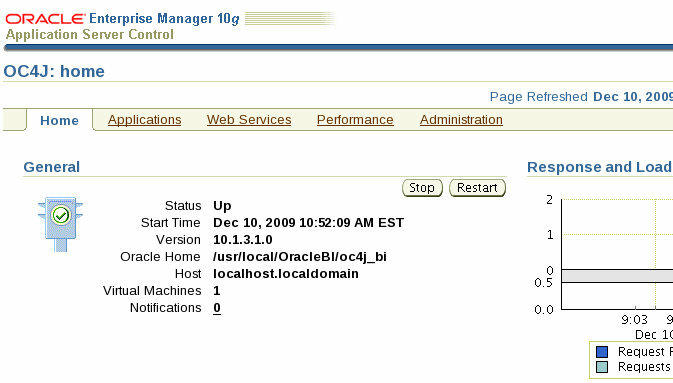 Oracle BI Java Host startup initiated. Oracle BI Java Host startup details. Oracle BI Java Host log files after starting up. 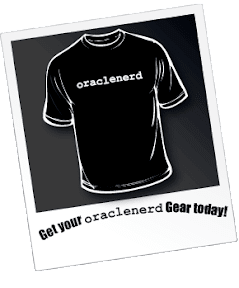 Oracle BI Presentation Services startup initiated. Oracle BI Presentation Services log files. Maybe now it's a finally...and finally some pretty pictures. Next up, configuring data sources. I did that on purpose...I read somewhere (yes, dangerous) that you shouldn't allow it to go to the max. But I'll side with you on this...next time I'll use the max available. If you're interested, there's a good explanation of the difference between running OC4J and OAS ("Basic" vs "Advanced" in the install respectively) here. In essence, OC4J is fine for sandbox but at most prod sites OAS would probably be preferred. Oh, and once you start playing and debugging, check out the diagram on p16 of the deployment guide. It illustrates all the ports and connectivity between the services and is invaluable! I went on to read that one on 11g as well. WebSphere huh? I guess I better get a head start on it. I know it's integrated with JDeveloper, I just haven't had the need to fire it up yet. I'm fortunate that I've worked with both OC4J and OAS in the past. Knowing that I can use the admin.jar to change the oc4jadmin password is always a savior. Thanks for the diagram...that's pretty awesome, lays things out very nicely. Might becomes it's own post soon. Thanks its very helpfull post sctually i'm installing RHEL 5.3 but still it is helpfull. I'm resolved my issue and i'm installed successfully on my env with your post. Thanks for all your great advice on installing ebs/obieee and literally everything i need to know. Could you help by advising of any documentation to install this version of obiee on OEL 5.4 with an instance of EBS 12.1.1 Vision on the same box? Glad all those things helped out. 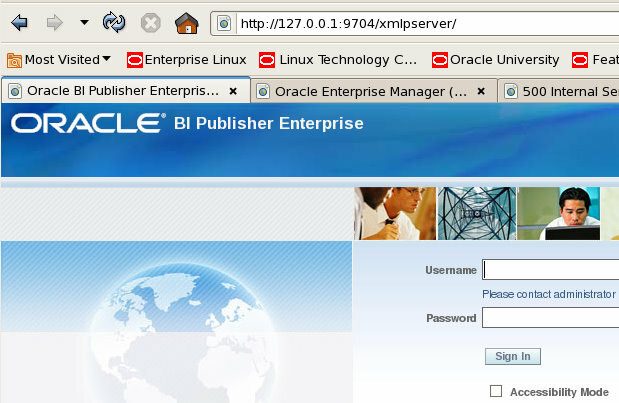 I don't believe you would need to do anything else to get OBIEE installed on the same machine as EBS. You might confirm that there are no port conflicts, but off the top of my head, I can't think of any. You may also want to create a separate user (say, obiee) to manage the OBIEE stuff.